Loot bags are one of those things that often make children smile but adults cringe. While kids love the trinkets they contain—at least until they lose them under the couch—many adults aren’t thrilled to see baggies full of items like gum, small toys, and jewelry of questionable origin cross their thresholds. 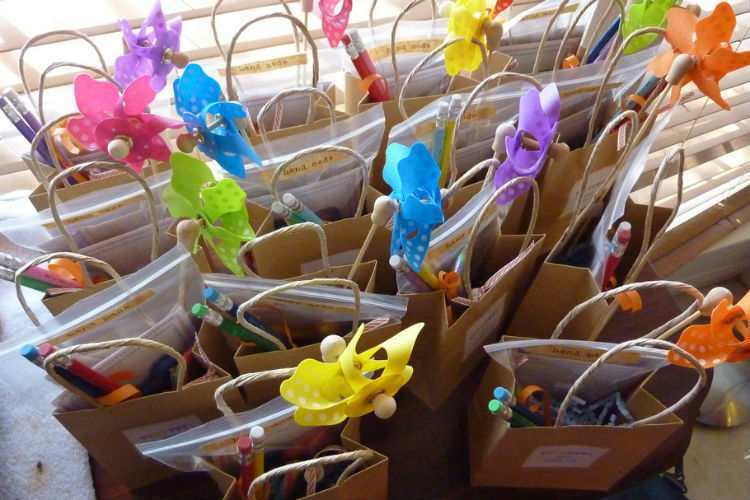 But the biggest challenge with loot bags is figuring out what to put in them while sticking to a budget; the cost of all of those knickknacks can add up quickly! 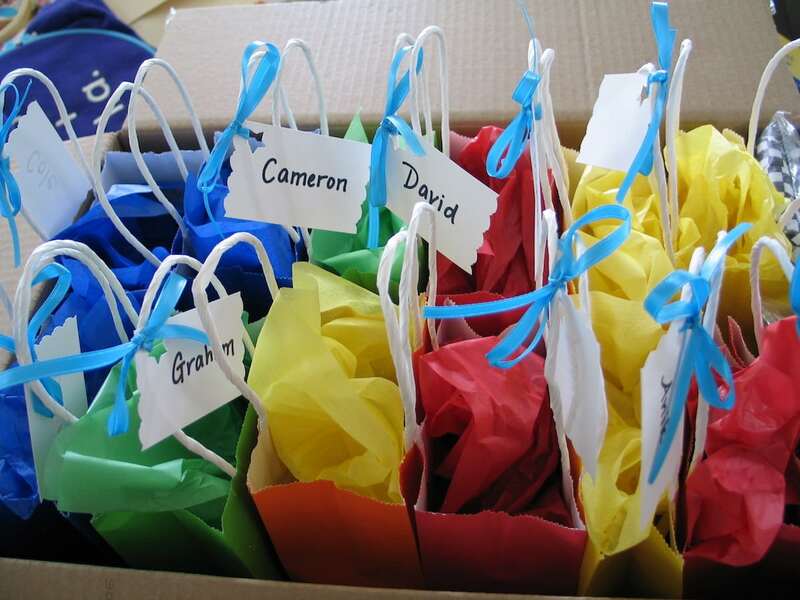 Following are a dozen cute but cost-effective goodie bag ideas. Okay, so most of these suggestions don’t follow the classic toys-in-a-plastic-bag image we have of loots bags, but your child’s party guests will love them just the same. Create a bead kit for each party guest by combining Ikea’s Pyssla bead shapes (sold in sets of four for $2.99) with a baggie full of Pyssla beads ($8.99 for a pound of beads), which you can conveniently purchase by the jarful. This idea is a great one for older kids who love to get crafty. Want to end your kid’s party off on a literary note? Then send guests home with a new book. Check out the Indigo sale section for buy-two, get-one-free deals and reduced prices on boxed set that you can break up. And don’t worry about giving everyone the same book; a variety of titles will work just fine. This idea might get you the cut-eye from some parents but hey, their kids will love you for it! Hit up your local bulk food store and select at least three different kinds of candy (if you’re feeling Pinterest-y, coordinate your selections to the party’s colours or theme). Arrange your picks in containers and then have guests fill a baggie up with candy before they leave the party. 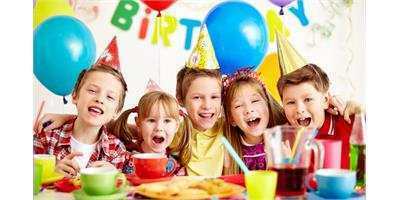 Does your child’s party have a specific theme? Then head over to a site like Flaticon, where you can search free black-and-white vector images that are suitable for colouring to download and print. For a subscription fee of around $10–$15, you can also download images from a stock photo websites like Can Stock Photo or Shutterstock. Be sure to look for discounts for new subscribers. Print your selections on cardstock and bind them together using a stapler or ribbon. Pair each book with a small pack of dollar-store crayons and voila! A loot bag that kids will actually use. Send guests home with a bit of nature with this loot bag replacement. Pick up a bunch of flower seed packets and using a ribbon, tie each packet to a small terra cotta pot (Walmart sells them for under a $1. If you want, have kids decorate the pots as a party-time craft. Get the birthday kid to help out with this one. First, whip of a batch of slime, play dough (maybe with sparkles), or kinetic sand. After you’ve made your batch, break off handful-size chunks and cover them with plastic wrap. Finish this gift off by attaching a personalized recipe card using colourful ribbon. Here’s another idea that your kid can assist with. Using some jewelry cording and beads picked up at your local craft store, create bracelets that spell out the name of each party guest. To make this craft, just tweak the beads used in this tutorial from Michaels. Any party with an animal-related theme can likely use this idea. Dollar and discount stores often sell smaller sized stuffies for a few bucks, so head over to your local shop and round up a selection of theme-appropriate animals. As guests leave, have them pick a stuffie to “adopt.” If you want, use a thick ribbon and colourful construction paper to create a collar for each animal that features its name. 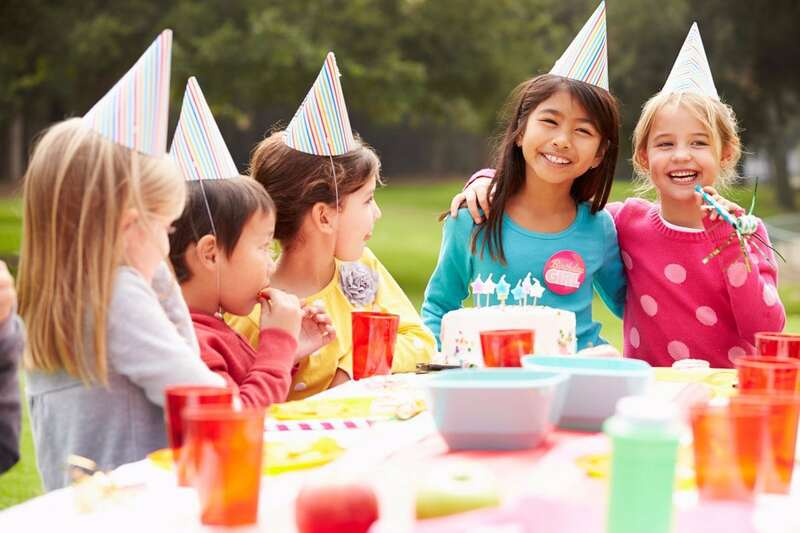 Can’t find any stuffies that tie into your kid’s birthday theme? Then use larger-sized plastic figurines instead (Dollarama often has a variety of dinosaurs and farm animals). If you want, stick with the adoption idea or incorporate these toys into the party’s décor. For example, arrange them on the snack table to bring in your theme. Got a kid with a spring or summer birthday? Then pop by your local discount or dollar store’s seasonal section and pick up plastic buckets that are packed with such beach-ready items as shovels and sand moulds. Another great option for those children with those warm-weather birthdays is sidewalk chalk. While you can give each child her own small box, you can also buy a giant carton of chalk ($18.99 at Amazon.ca) and break it up. This idea does get expensive if your kid’s party has a ton of guests. But if it’s on the smaller side, $5 gift cards to a kid-friendly shop like Chapters, iTunes, or Dairy Queen can be an affordable, and relatively green, loot bag alternative. These really are great ideas!! Love them all!